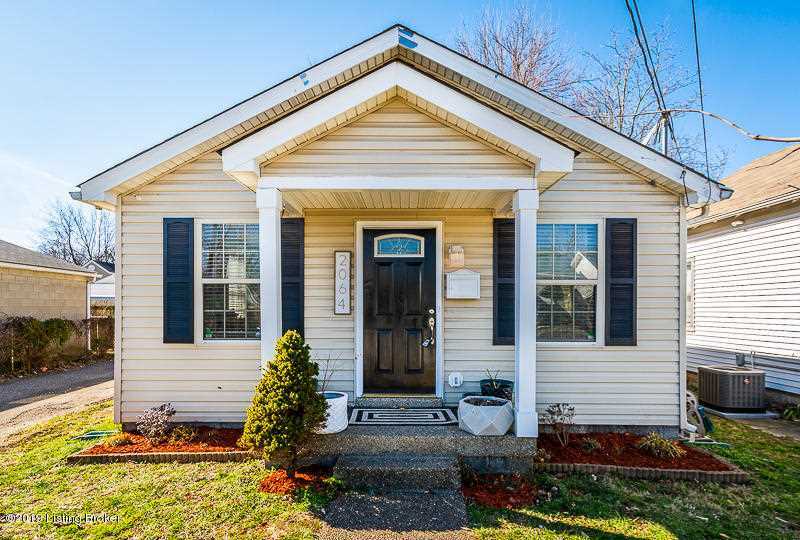 Come check out this super cute 2 bedroom home with new front porch columns, within walking distance to Louisville favorites like Nords Bakery and Zanzabar. This home is only 20 years old, a rare find for this neighborhood. Lots of updates throughout: flooring, shutters, lighting, vanity, appliances,, Custom sea shell ceiling in living room, just to name a few. There's also a great area to add a 2nd bath. Full fenced back yard features a huge shed perfect for extra storage or even a workshop. This one is too good to last long - schedule your showing today! Directions:Preston to Lynn to Allene. SchoolsClick map icons below to view information for schools near 2064 Allene Ave Louisville, KY 40217.